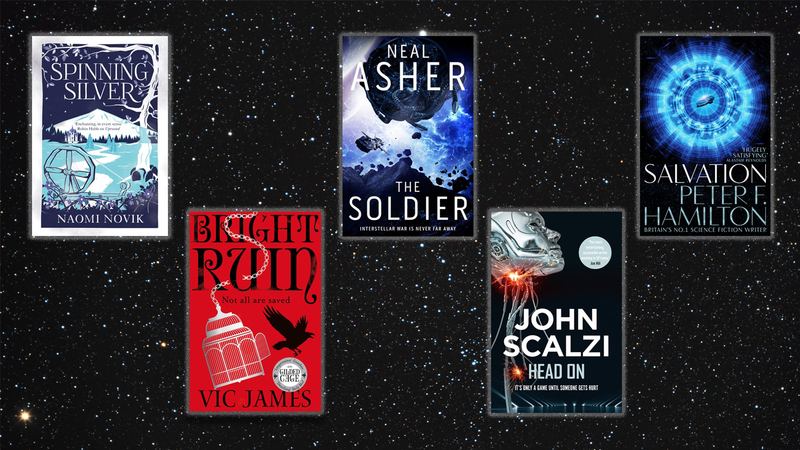 Take a look back over some of the most exciting science fiction and fantasy books of the last 12 months. 2018 has seen science fiction continue to embrace the theme of sentient machines. And, perhaps understandably given the bleak news cycle, both science fiction and fantasy have been growing increasingly vibrant and escapist. A good number of our top science fiction and fantasy books for 2018 are sequels or entries in existing universes, which may also reflect a desire for some stability and continuity, the comfort of a familiar but impossible world. When you think of downright hilarious science fiction, it’s got to be Douglas Adams and then perhaps John Scalzi. Catherynne M. Valente might be a new addition to that list, thanks to her galactic-Eurovision novel Space Opera. 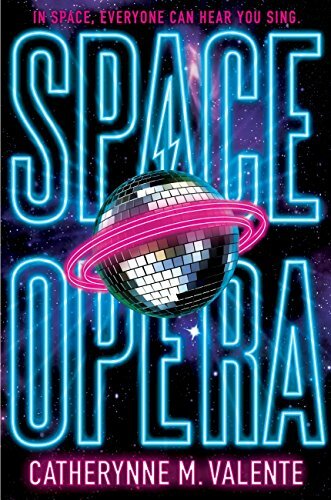 Clever, witty and utterly glam, the book imagines first contact with a galactic civilisation, and joining it being contingent on participating in the ‘Mega-galactic Grand Prix’. The only problem is, whichever race scores lowest is annihilated to give that planet a second chance at raising a ‘worthy’ race. The action follows Earth’s entry — ‘Decibel Jones and The Absolute Zeros’ (my favourite member of which is named ‘Oort St. Ultraviolet’!) — and their struggle to get the band back together. Full of big ideas and big hair, this is irreverent sci-fi at its best. Dix points! Novik wrote nine books as part of her Temeraire series, but it was arguably 2015’s standalone Uprooted which cemented her fame. Spinning Silver is another standalone fantasy, more in line with the sinister fairy-tale styling of Uprooted than her previous ‘flintlock fantasy’. Spinning Silver focuses on Miryem, a moneylender’s daughter with a canny knack for turning silver into gold that, unfortunately, catches the attention of the otherworldly Lord of a magical wood. 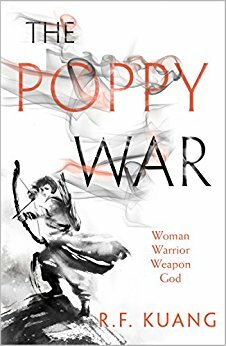 Novik has really hit her page-turning stride, is a subtle world-builder and, in Miryem, she’s created a truly fascinating, flawed protagonist. ‘Enchanting’ is the buzzword flying around Novik’s latest two books and I’ll be damned if I can think of a better one. 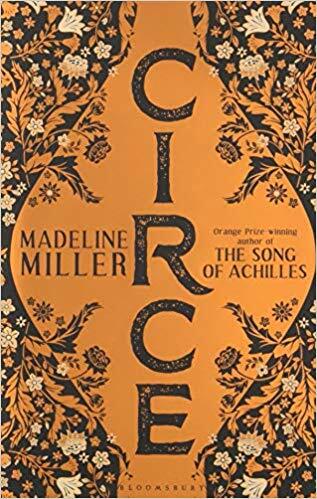 A re-telling of the myth of Circe, Madeline Miller deftly explores the eponymous story of the Sun god’s daughter. Circe — like any good mythical character — is punished and tormented by the gods for possessing a strange power, and so takes up with us mere mortals. Ultimately, this is a story of a woman standing alone, having to choose between the home and race to which she belongs, or the lesser beings she has come to love. It’s lyrically written and balances the tragedy with empowerment. Whether you’re already well versed in Greek mythology or not, this is a powerful modernisation of a story that has stood the test of time. In this new Lock In universe novel, John Scalzi swerves away from space opera into neo-noir procedural. Without spoiling the details of this fusion of robotic bloodsports and human-consciousness controlled cyborgs, this second book is inventive, fast paced and dabbles in plenty of compelling thought experiments. Of course, it contains Scalzi’s signature humour too, so don’t expect any grimdark here. Head On also works as well on its own as it does as a follow up to Lock In. It also begs the question, as Scalzi is so versatile, what other genre would he excel in if he tried? The final book in the relatively bite-sized Binti trilogy finds the titular quantum-math prodigy thrust once again into the very violence she seeks so desperately to escape. Or indeed, to reconcile. Unfortunately it’s not the jellyfish-like Meduse that are causing trouble this time, but humans themselves, on Binti’s home planet no less. 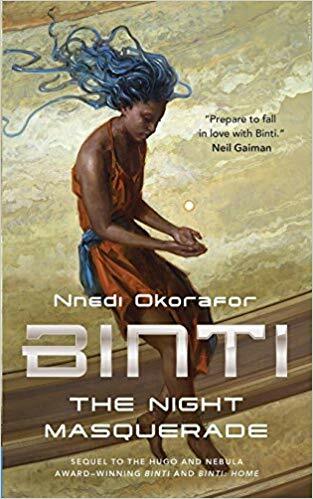 Okarafor has crafted a truly unique heroine in Binti, and it’s refreshing to see hopeful, almost Utopian tendencies at the forefront of a series. This is an economical and poetic novel, and series, about many things –– finding your calling, what home means and staying true to your roots. It would be a shame for anyone to miss out on it. Peter F. Hamilton begins a new space opera trilogy with a bang in Salvation. The book is told via two main narratives spaced centuries apart. And it’s set in a universe that humanity has already colonised, thanks to the development of near-instantaneous space travel via 'trans-dimensional gates’ (a Hamilton favourite). In one timeline, an unknown vessel is found on a recently explored world, leading a team of specialists to some surprising and troubling conclusions. The other, far-future timeline centres on a genetically engineered team of special forces cadets, a la Ender’s Game. And they are facing a long-anticipated clash with an age-old enemy, intent on the total eradication of the human species. In pure Hamilton fashion, this has rich veins of political machinations, interpersonal rivalries and just enough actual science to be utterly riveting. Loosely based on the second Sino-Japan war, this is an ambitious package with an on point list of contents. Magic school? Check. Shamanic magic and fickle gods? Check. A fantasy world extrapolated from modern Chinese history, cosy mentor figures and a ruthlessly talented orphan heroine? Check, and mate. Of course, things get much darker upon the main protagonist’s graduation from said magic school. And the whole is tightly plotted, economically worded and full of grounded yet evocative world-building. As addictive and much safer than the opium the title alludes to. Neal Asher is back, with the first book in a Polity Universe trilogy entitled Rise of the Jain. If you’re not already an Asher fan, expect plenty of military tinged sci-fi, epic confrontations in space and an incredibly rich depiction of an alien civilisation. The Soldier is, true to form, dealing with an area of space housing lethal technology left by the long-gone Jain race. The guardian who monitors this area has thought of a way to be rid of this peril once and for all. But this could bring two races to the brink of war - as the contested area sits on the border of humanity’s worlds and the vicious, crab-like Prador. It’s a comfortingly high-action, high-concept space opera. And whether you are a Polity veteran or not, this novel offers a brilliant set of clues into the Jain, and beyond. In her Dark Gifts trilogy, Vic James has crafted a thoroughly unique setting. In this world, set in an ‘alternative present’ to our own, aristocrats rule over a modern-day Britain. They enforce their rule through the use of the magic arts that run solely in their noble families. Bright Ruin is the gripping finale, tying up character arcs and the central plot with aplomb. Though the other two books are hardly slow burners, this is where it all kicks off, and most importantly, it’s the book that introduces the fantastic ‘Wonder King’. It has a brilliant cast – especially the charismatic, sinister and bewilderingly fickle Jardine family. And Bright Ruin is a fitting conclusion to one of the most original and exciting YA/adult crossover fantasy series in recent years. In this episode of the Uncaring Universe podcast, Danny discusses some of his favourite books of 2018 with writer Lulu Kadhim.